A photo of Old Main (OM), an Administration and Campus Services building. Old Main and other buildings on WWU's campus can be viewed on the campus map. 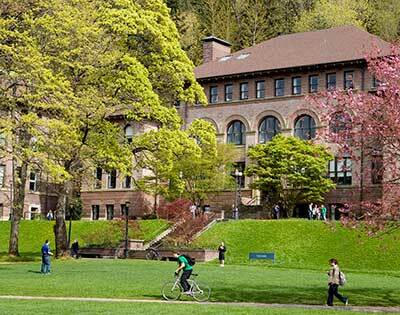 Western Washington University makes every effort to provide financial assistance to eligible applicants through grants, scholarships, work study, loans, or some combination of these student aid programs. Aid is available to help meet educational costs including tuition and fees, books and educational supplies, room and board, transportation and personal expenses. Eligibility for financial aid is determined by completing the Free Application for Federal Student Aid (FAFSA) on an annual basis.